Ms. Linzy, a native of New Orleans, Louisiana, joined The Kullman Firm in 2004. She received her Bachelor’s Degree from Southern Methodist University in Dallas, Texas, and her Juris Doctorate from The University of Texas School of Law in Austin, Texas. Prior to joining the firm in 2004, Ms. Linzy practiced commercial litigation and transactional law in Philadelphia, Pennsylvania. 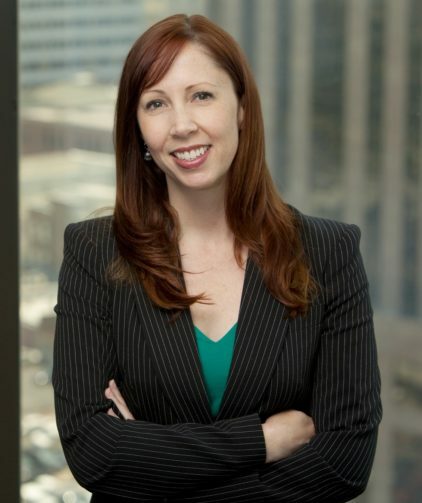 Since joining the firm, she has represented employers in various areas of labor and employment law, litigating discrimination, harassment and wage-hour cases, handling labor arbitrations, assisting with union elections, negotiating contracts, investigating employee complaints about working conditions, advising employers on drafting and implementation of employment policies, hiring, disciplining, and wage-payment issues, and representing companies in proceedings before governmental agencies, administrative law judges, and state and federal courts. She has lectured at seminars on topics such as the Americans with Disabilities Act, the Family and Medical Leave Act, and protected, concerted activity. Ms. Linzy has worked with clients in several different industries, including health care, manufacturing, financing, and technology.